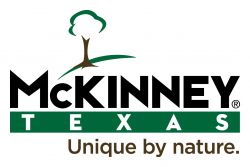 City of McKinney employees work hard and at a very fast pace. However, we also look after and support one another. All of us are guided by four employee-inspired values - Respect, Integrity, Service, and Excellence (RISE). We are also supported by servant-based leaders who foster and support a healthy, family-oriented culture. All new employees are expected to embrace and live by our core values and commit to helping us sustain our exceptional work environment as a high performance organization. Answers multi-line, 9-11 emergency and non-emergency calls and dispatches and deploys public safety personnel to calls for service. Simultaneously listens to and comprehends both telephone and radio traffic often under loud and stressful conditions. Operates multi-channel public safety radio system. Assists with and record requests for police or fire and emergency medical services from the public and departmental personnel via telephone and radio utilizing a computer-aided dispatch system. Communicates effectively, courteously, and clearly in English, verbally and in writing; includes speaking distinctly, responding promptly, and hearing in the normal range to protect the safety of officers and the public. Assigns appropriate Public Safety personnel to routine and/or emergency calls for service utilizing a computer-aided dispatch system. Provides pre-arrival medical instructions following department prescribed protocol with NAED compliance. Documents all activity, locations and statuses in the computer aided dispatch system for public safety personnel, quickly disseminating any additional information. Comprehends and applies city ordinances, policies and procedures. Operates City Emergency Warning System and notifies key personnel and other agencies in emergency operation situations. Maintains strict confidentiality of all documents, radio and phone transmissions and other sensitive information handled through the communications department. Ability to speak clearly and precisely. Requires the ability to make rational decisions through sound logic and deductive processes. High School diploma or GED and at least one (1) year experience in a high public contact that required decision making and problem solving under stressful conditions. Experience in a multi-task environment involving data entry, phones and/or radio communications. Working knowledge of Windows computer system. Must be able to work various shifts including nights, holidays, and weekends. Exert physical effort in sedentary to light work, but which may involve some lifting, carrying, pushing and/or pulling of objects and materials of light weight (5-10 pounds). Tasks may involve extended periods of time at a keyboard or workstation. Work takes place in a relatively safe, secure, and stable environment but is exposed to emergency situations on a consistent basis, with periods where errors can lead to significant physical consequences.